APJ Adbul Kalam’s sudden demise on Monday has left the nation shocked and in mourning. An unexpected incident like this makes us reflect on the fact that while life is short, it is also long enough for us to make an impact just like APJ Abdul Kalam did as the Former President of India, a great scientist and a noble and inspiring human being. Everyone undergoes change in their life and they each react differently. It may be the loss of a loved one, a new job, a different place or a new task. While some transition quicker, others have a harder time accepting the changes that they face. In life, we may not always be in control of our circumstances, but we can certainly choose how we react to it. They say that the only constant in life is change, and the sooner we realize it, the better prepared we will be to live our lives to the zenith. Sometimes all we need is a little push out of our comfort zones and the determination to face reality head on. “It is not the strongest of the species that survive nor the most intelligent, but the ones who are most adaptive to change.”- Charles Darwin. The fact that change is inevitable in every aspect of life has been a significant factor in the process of human civilization. Whether we accept it or not, we all have to go through periods of change at some point. It is a necessary element of growth and in a way inherent in the laws of nature that changes may take place every now and then. We get so accustomed to things being in one particular way that we feel worried and scared when things change. Our minds create an imaginary zone in which a person feels comfortable, but if we want to broaden our vision and upgrade our life, then it is a must to break this comfort zone and to adjust ourselves with new circumstance and ideas. If we have been complacent with the happenings around us, maybe it is time for a change. For instance, if there is someone seeking job transition, they are probably in a career right now doing the same thing for quite a long time. Though they are very good at these jobs, they have become complacent, and it doesn’t challenge them anymore. They desire to do more and do something differently. We only want certain things to be different, and in other things we are hesitant to bring the change. No matter how we perceive the need of change, necessary or unnecessary, we cannot prevent it from happening. The society or the environment we live in change, our relationships changes, if not entirely, the circumstances change, our feelings change and nothing is ever exactly the same each moment. Therefore, it is more important to find ways to deal with change, rather than ponder on whether or not it is necessary. 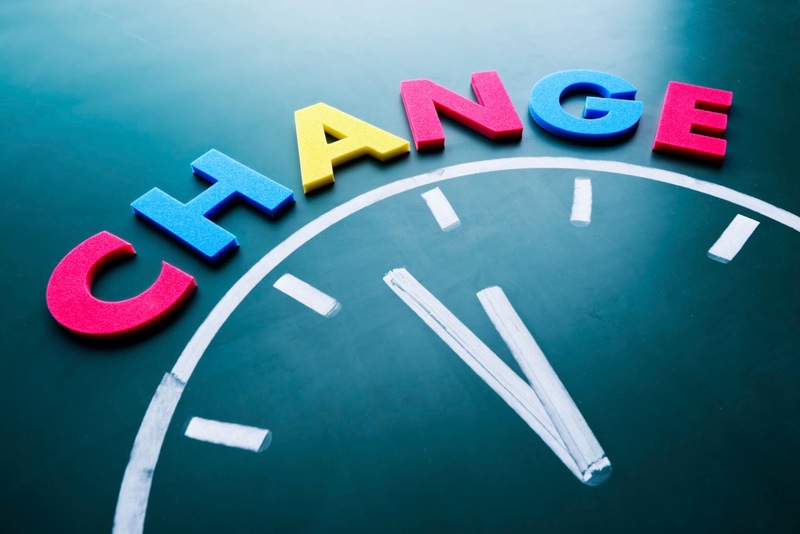 The best way to handle change is to be flexible and not resistant. When we begin to realize that change is not something to be feared and avoided, we can learn to let go of the fear of change and the part of us refusing to change and often causing stress. Sometimes, day to day changes can be subtle but, in sum, can make a significant impact depending on how we address or not address them. We should adapt ourselves to the changes around us and be vigilant about changing trends. Change is the motivating force that helps us realise that we should never become complacent and accept mediocrity. It makes us grow as a person and makes our life interesting. The willingness to get out of the comfort zone and learn continuously as a way of adapting to the changed surroundings makes a key difference between thriving individuals and the less motivated. There are times when we have no control over what is happening in our lives and our surroundings. Then there are other times when we become the thoughtful leader or the force driving that change and this is when we are prompted to decide on how to come up with a proactive approach to the situation. There is a well known Chinese proverb that says that the wise adapt themselves to circumstances, as water moulds itself to the pitcher. This is where we have to stop being the victim and blaming others. We have to take up the responsibility for our happiness, take control and not put such power into the hands of another person. We should be change-ready individuals and have flexible culture sharing certain traits that allow us to progress and not stay stagnant. We need people who are able to quickly evaluate and shed weaknesses and build strength in new avenues. The negative things we hang onto will not serve any purpose. The more we begin focusing on more positive things, the more we’ll start attracting positive situations. The most important thing to remember is that we are only humans and at times we will fall to our weakness and take poor decisions. However, we can supplement to that by quoting “life is a learning process” and we need to dust ourselves off and get back on track and take it up from where we let off. Eventually, we will change our habits entirely and no longer feel the urge to make those poor decisions. Successful people aren’t successful because they have managed to rid themselves of all their flaws, weaknesses and poor habits. Rather, they have gotten to know themselves so well that they sense any potential stupid decisions before they make them. They then outsmart themselves and don’t give themselves the chance to make those mistakes. If we are to live a free and prosperous life, we need to change beyond the usual expectation, and the challenge is to revolutionize attitudes in a race against time. Life would be easy and smooth if we avoid changes, but if we are determined to pursue a more challenging and interesting life, set aside the grievances of the past and do not hesitate to make the necessary changes – the habits, beliefs, cultures, attitudes, social order, etc. that have lost their utility, and have become a barrier to the enhancement of a progressive culture.